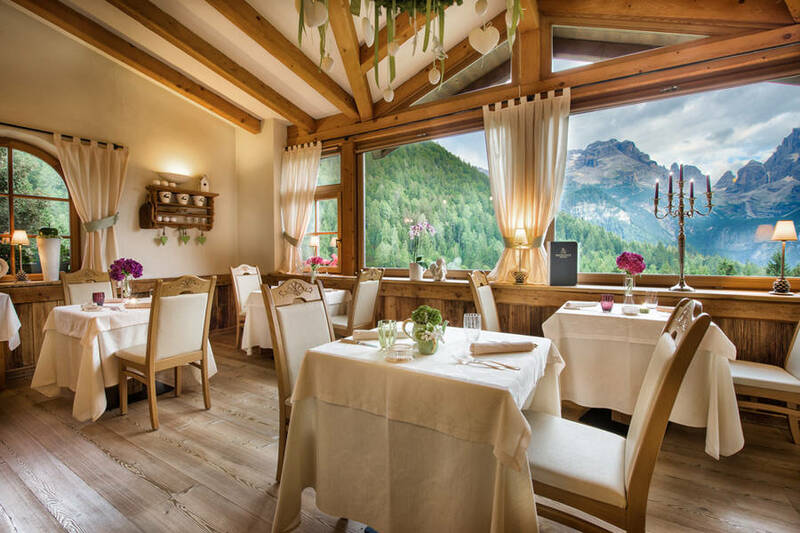 Faced with the task of completely restructuring their mountain chalet, the Maffei family decided to make the most of the occasion and to transform the building in to Trentino's first Biohotel; modified and powered in compliance with environmentally friendly, eco-sustainable principals. 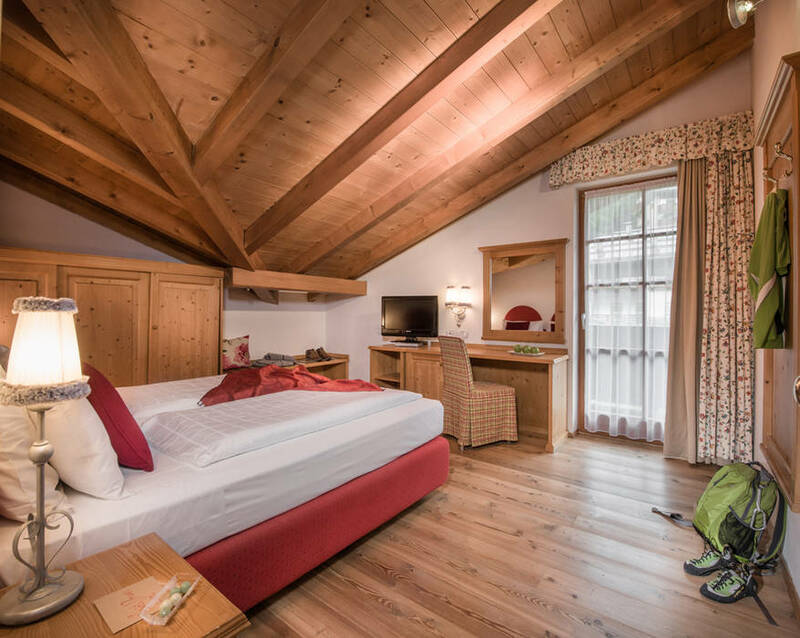 Biohotel Hermitage's large rooms and suites have been designed so as to create a healthy micro-climate; decorated with solid wood floors, pure virgin wool carpets, and items of furniture made from spruce and Swiss stone pine, treated with linseed oil so as to maintain the wonderful natural aroma of the wood. 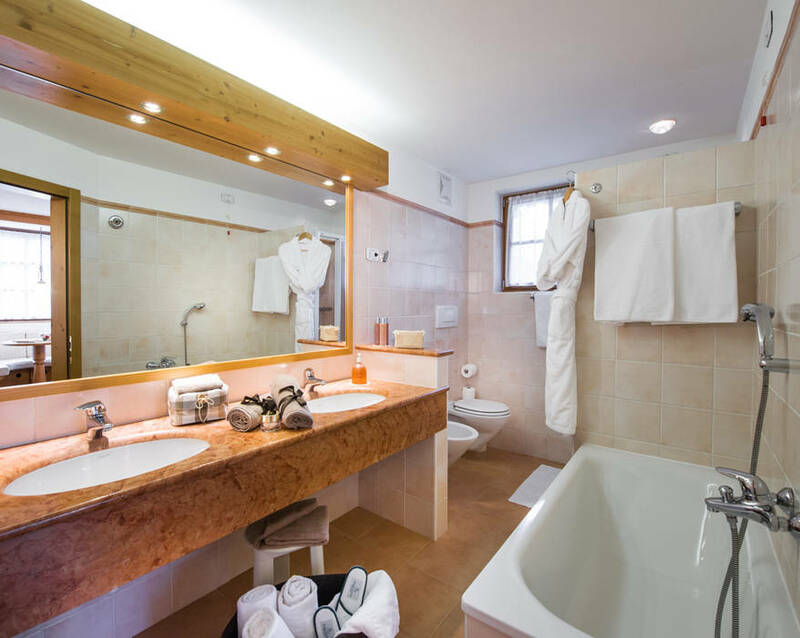 Wall heating allows for optimum heat distribution, whilst disconnect switches ensure that guests sleep undisturbed by electromagnetic fields. 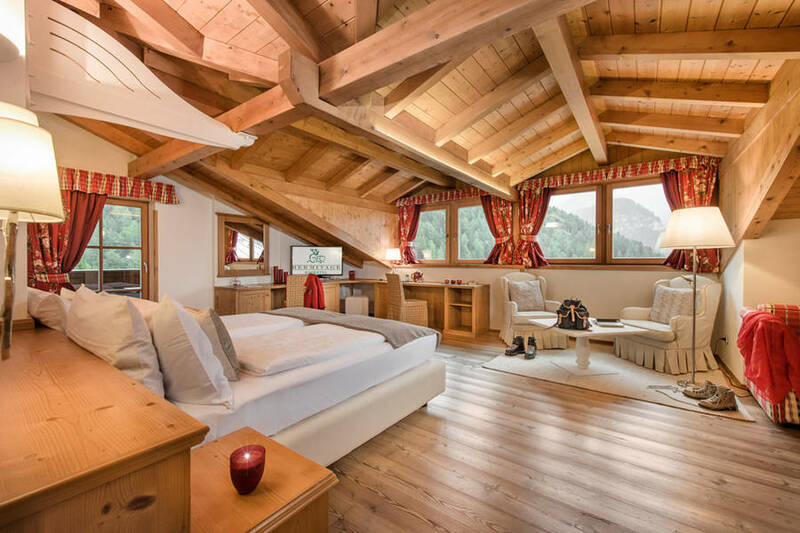 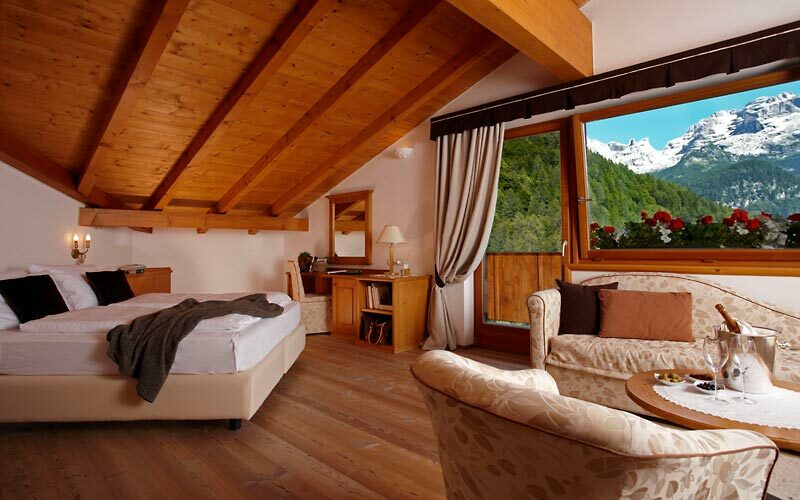 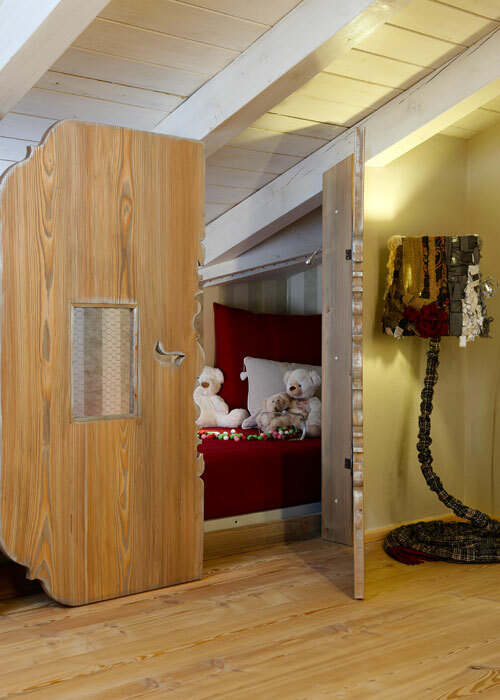 In the brand new "Mountain Chic" suite you'll find beautiful contemporary details in wood and steel and a fabulous circular bed positioned for "peek" viewing'' of the Brenta Dolomites! 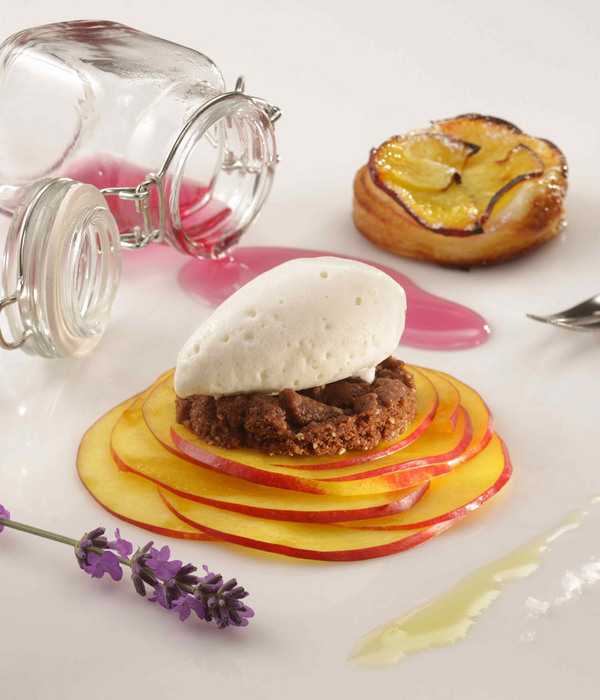 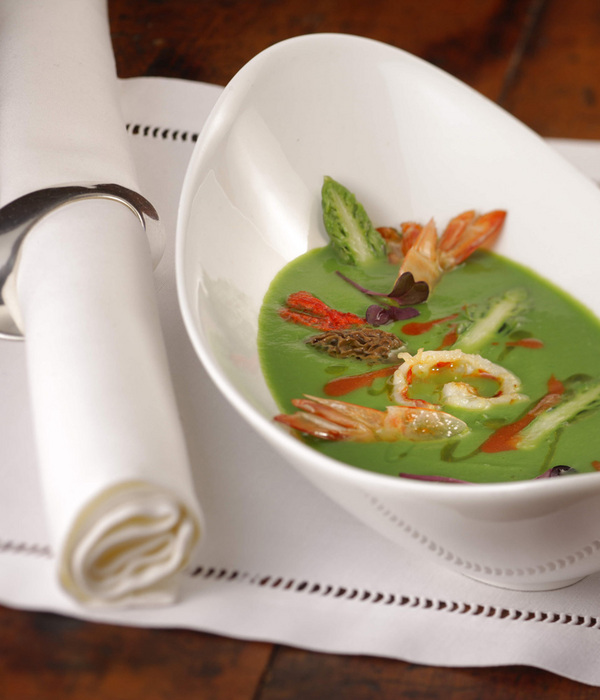 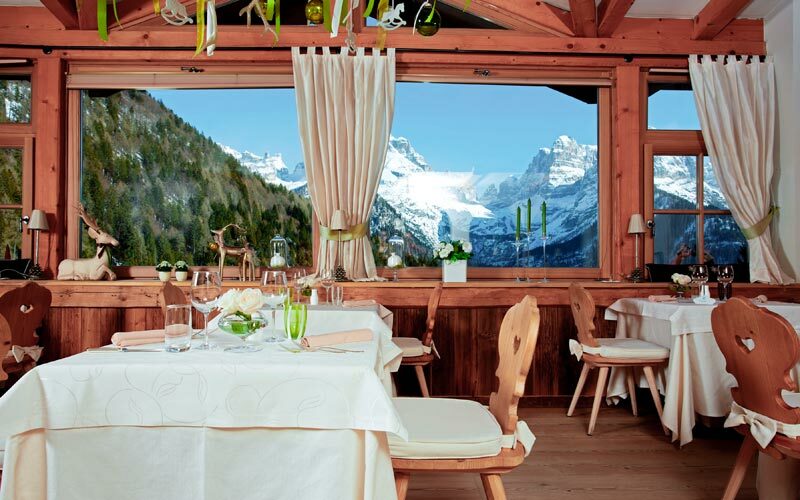 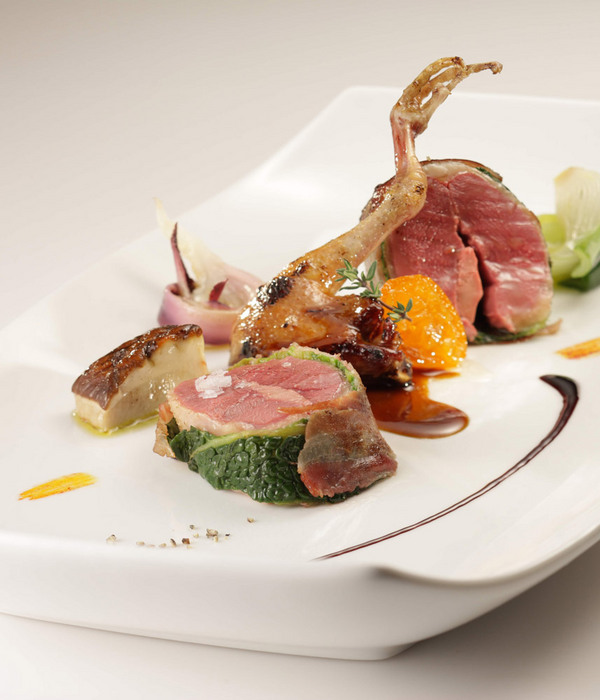 Famous for its creative gourmet cuisine, the Stube Hermitage was awarded its first Michelin star in 2008. 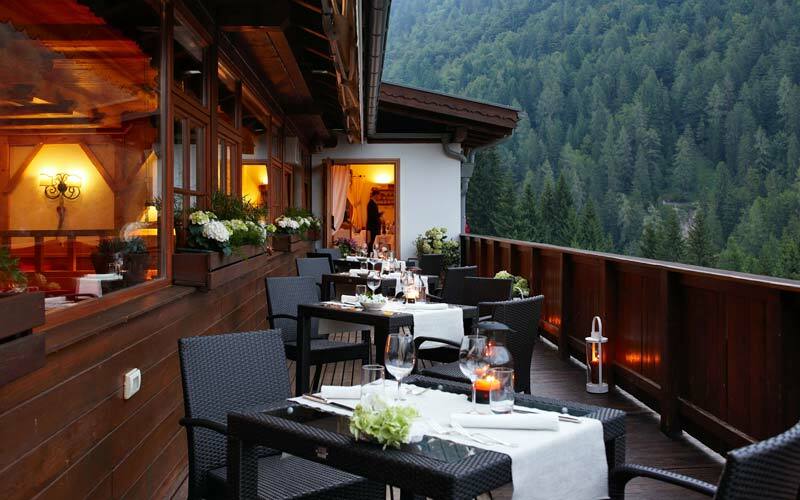 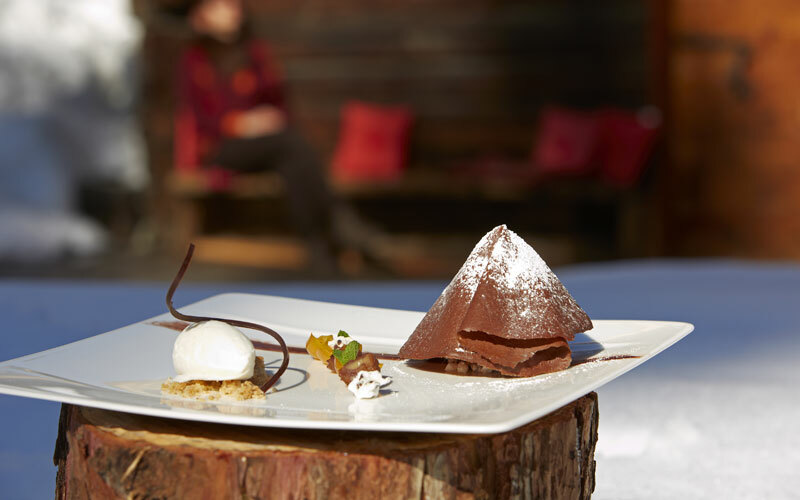 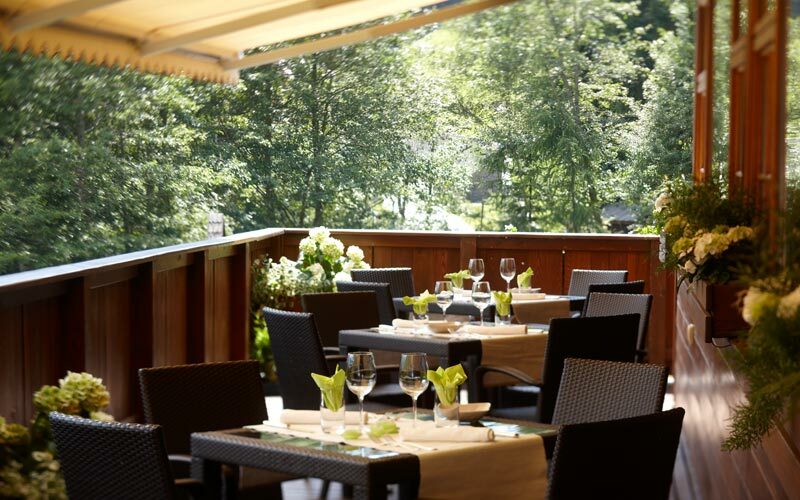 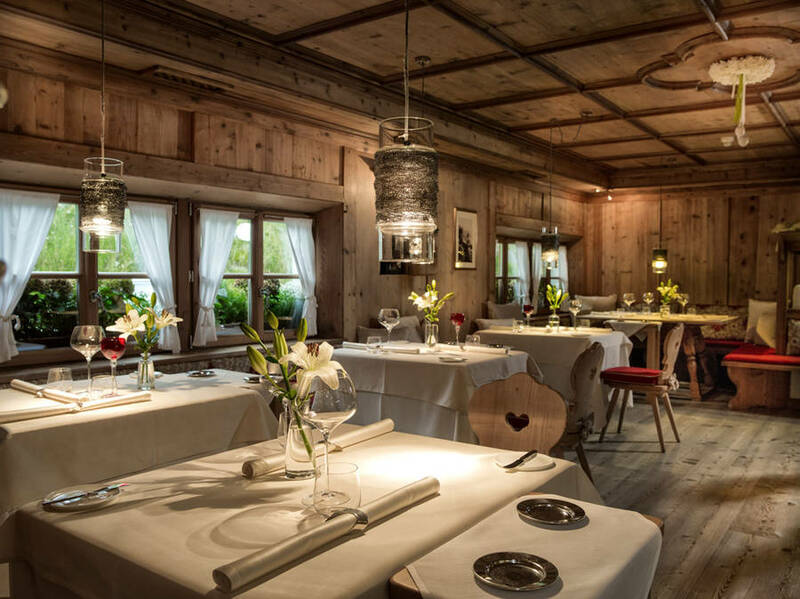 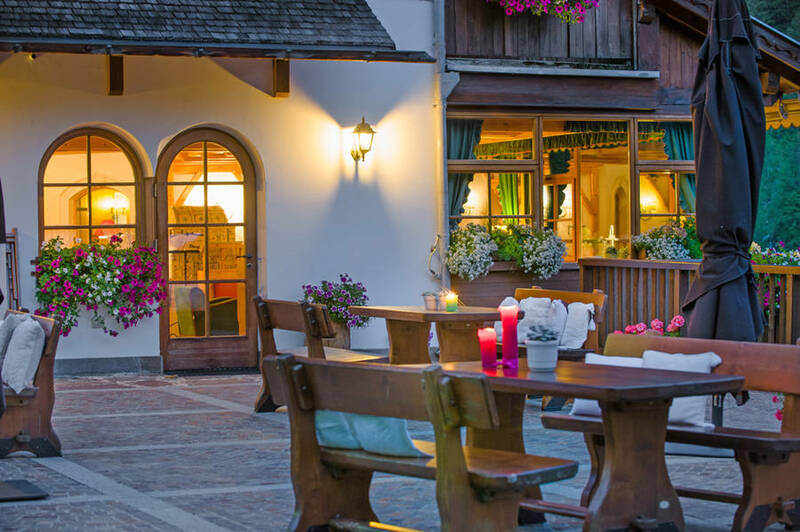 This is where the Alto Adige-born executive chef, Nicola Laera, who trained under none other than the great Norbert Niederkhofler, performs his culinary magic each night. 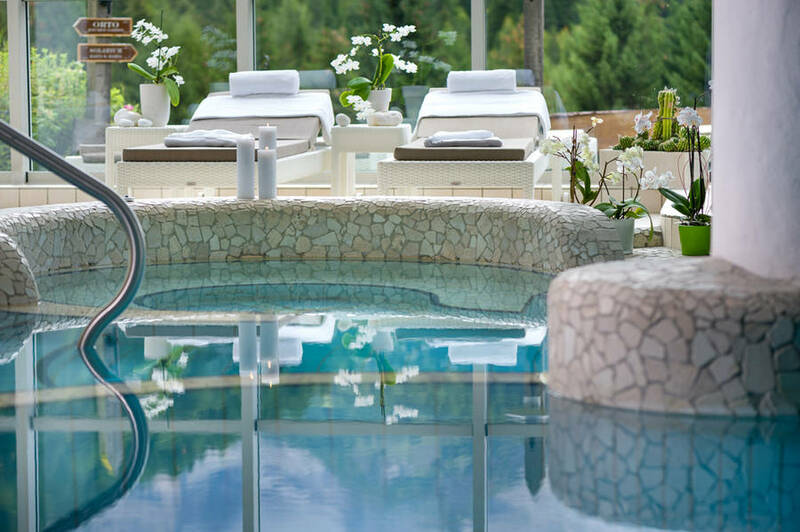 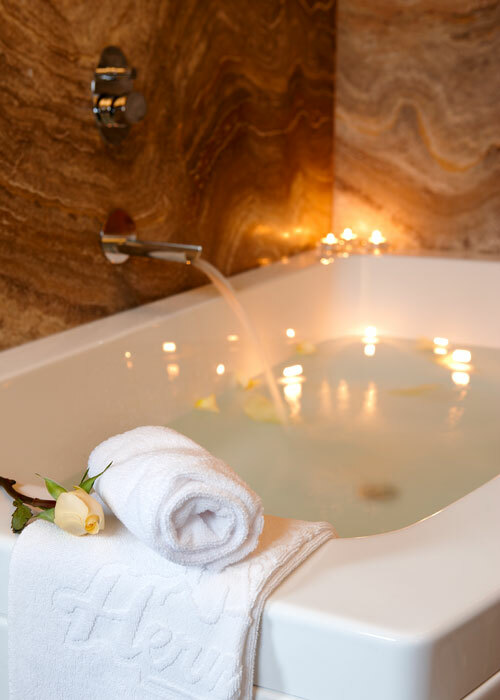 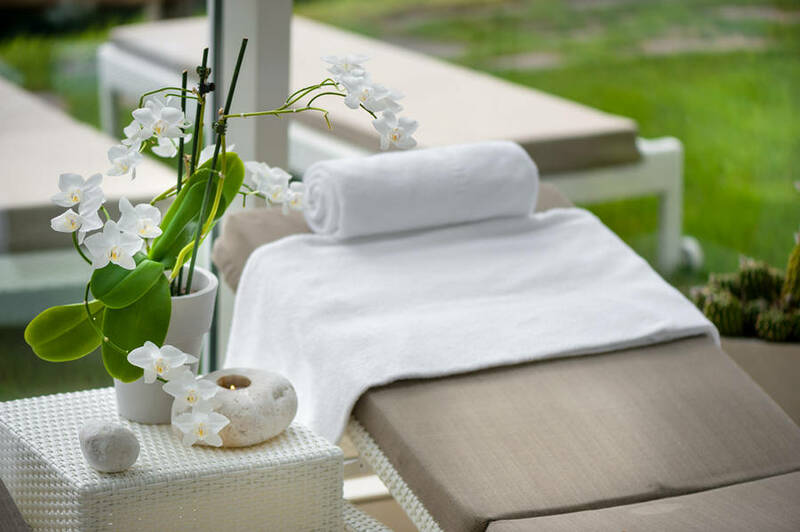 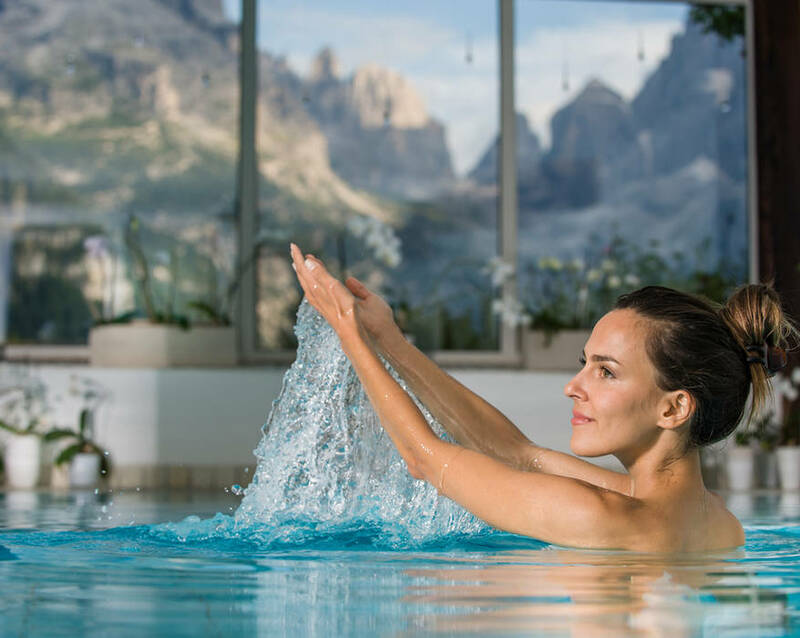 An impressive range of face and body treatments are available at the hotel's Beauty Spa; a superb wellness facility equipped with panoramic swimming pool, Turkish bath, saunas, hydromassage pool, and rain showers. 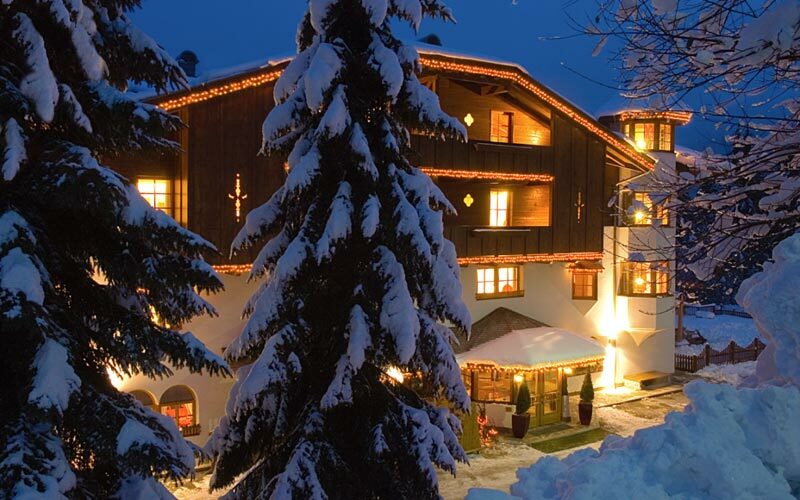 During the winter months, Biohotel Hermitage provides a ski equipment rental service and the use of a free shuttle service from the hotel to the nearest ski resort. 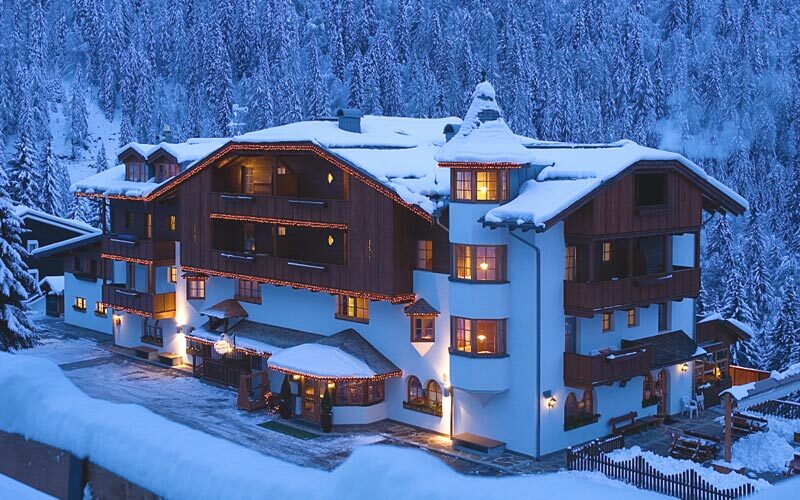 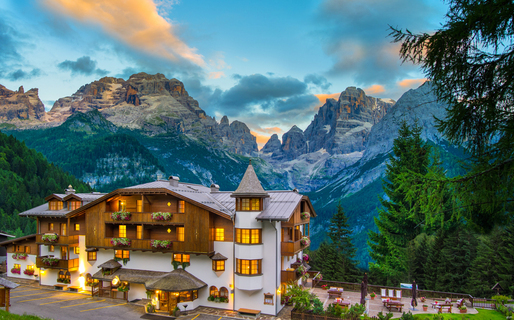 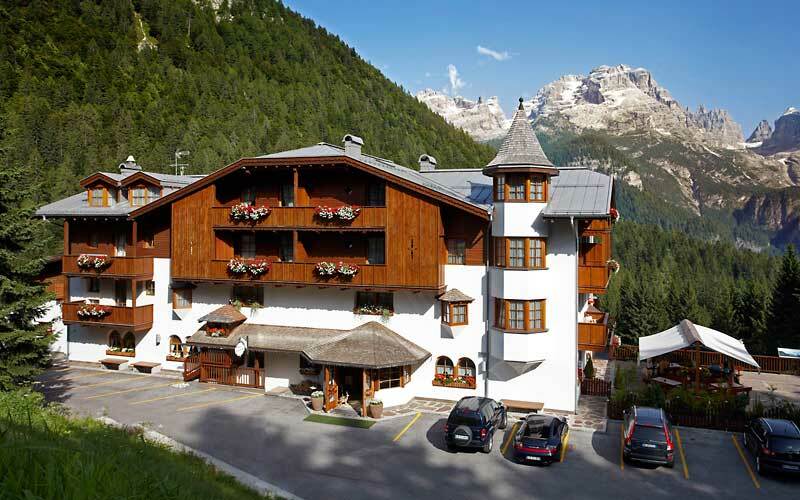 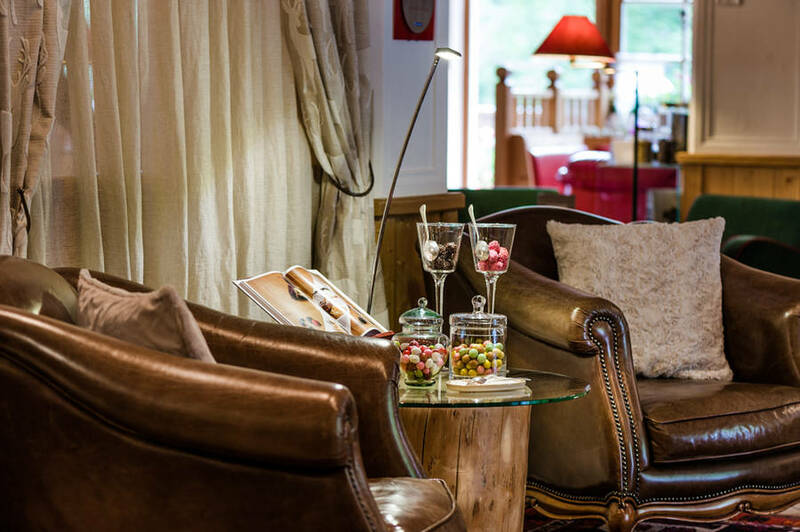 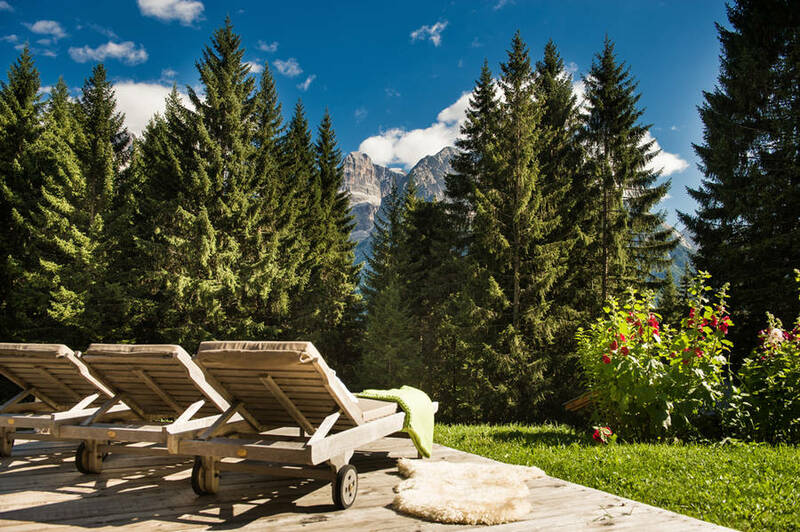 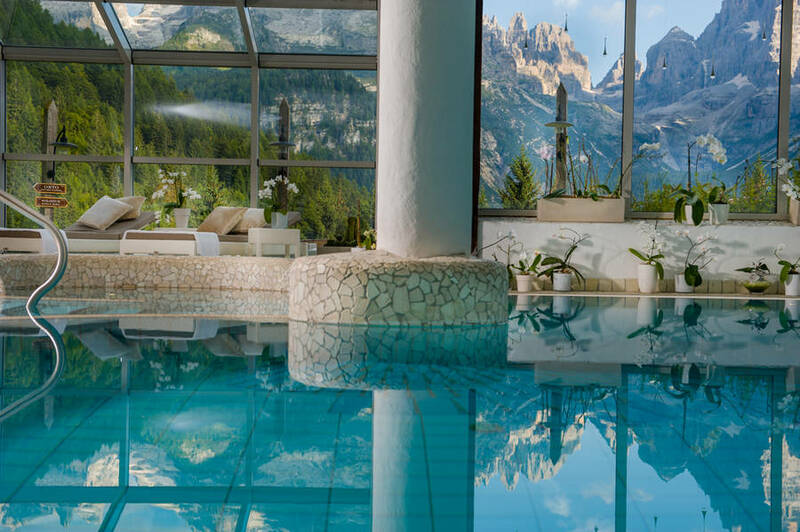 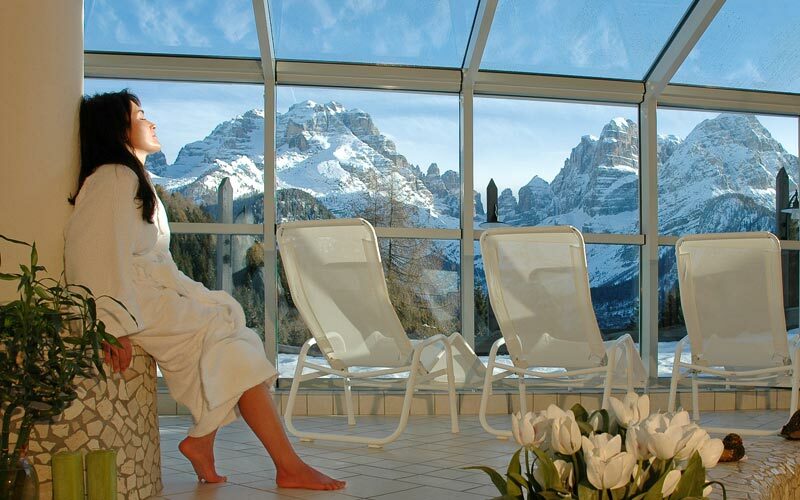 In the world renowned tourist destination of Madonna di Campiglio, the Biohotel Hermitage enjoys a superb position in the heart of the Adamello Nature Park. 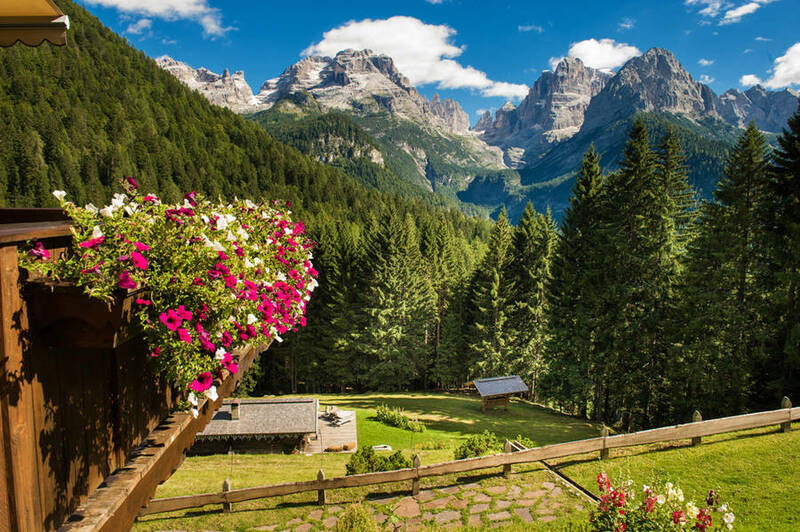 From here one can admire the spectacular scenery of the Brenta Dolomites and partake in any of a number of excursions in to the mountains or through the Stelvio Nature Park.